This ocarina in the shape of a giant armadillo was 3D scanned at the Carnegie Museum of Natural History (CMNH) on June 23, 2015. It is part of CMNH’s Costa Rican study collection. 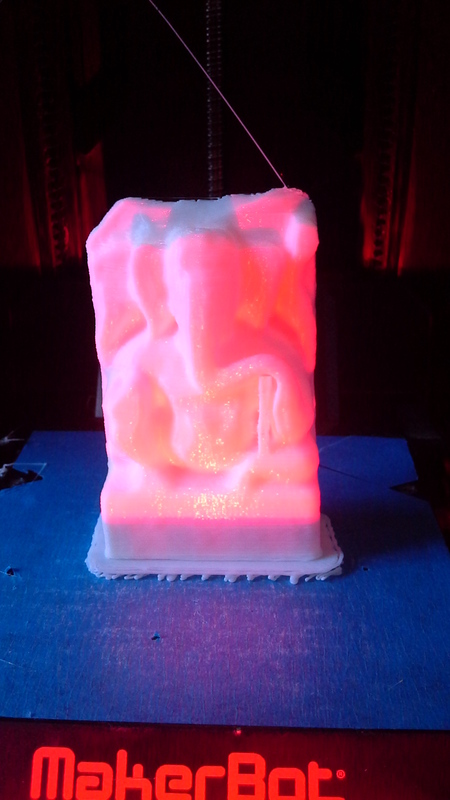 Today’s animation is a sculpture of Ganesha that dates to circa 12th century A.D. from Ranihat. 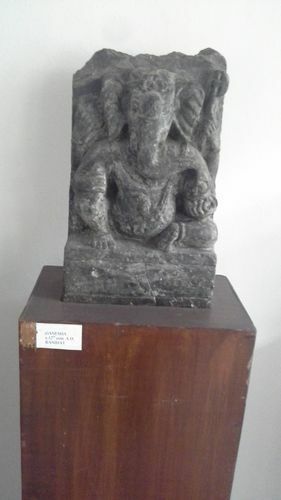 It is located in the Museum of Himalayan Archaeology and Ethnograohy at HNB Garhwal University, which is located in Srinagar (Garhwal), state of Uttarakhand, India. I scanned this statue with a Structure Scanner attached to an iPad Mini in the museum itself while on a trip to the university as part of a collaborative project with Dr. Vinod Nautiyal. Details on this project can be found here. The digital model was edited in the Virtual Curation Laboratory and then printed at a reduced scale using a MakerBot Mini. Today’s animation is a terracotta figurine of a woman in dancing posture. Dr. Vinod Nautiyal provides these details: the figurine was found at the site of Jhusi in the town of Allahabad, Uttar Pradesh and dates to the Kushan Period (100 to 200 A.D.). 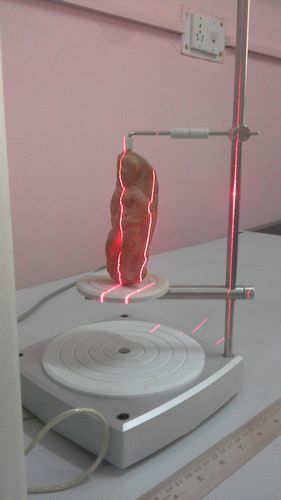 The terracotta figurine was scanned using a NextEngine Desktop 3D scanner by Mohan Naithani, Sudhir Nautiyal, and myself on August 6, 2015 in the Archaeological Computing Laboratory at HNB Garhwal University, which is located in Srinagar (Garhwal), state of Uttarakhand, India. I had traveled specifically to North India to work with Mohan and Sudhir, with guidance from Dr. Vinod Nautiyal. Details on this project can be found here. 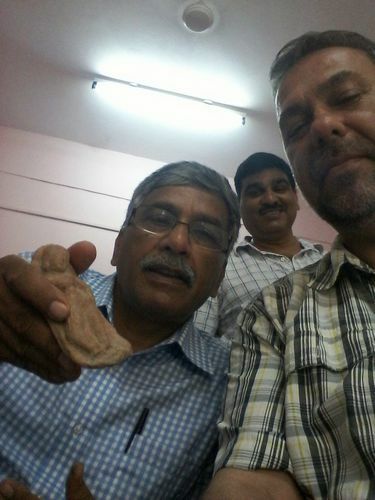 VInod holds the terracotta figurine while Mohan looks on from the background.